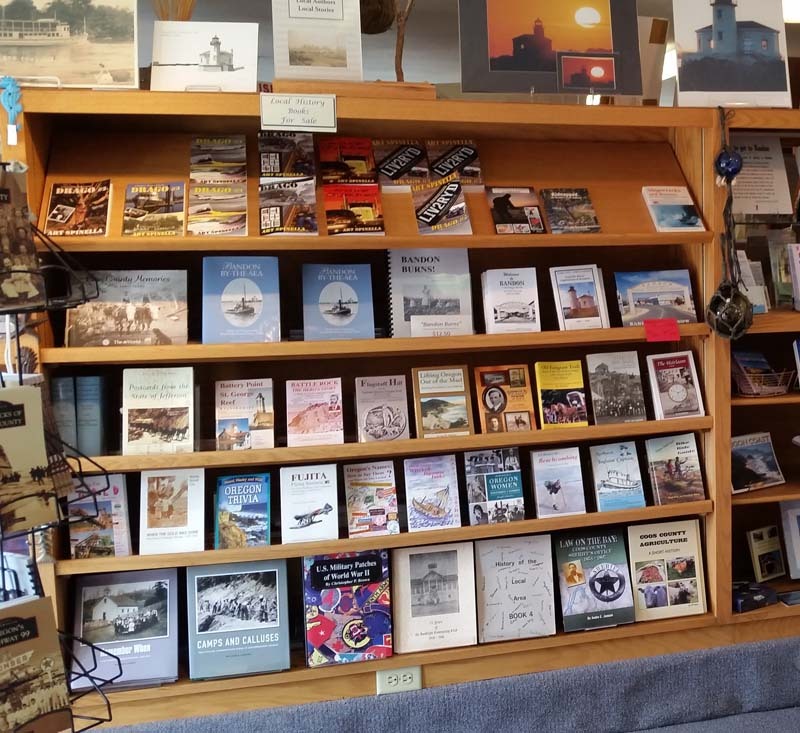 Our Gift Shop, located in the Museum lobby, has a wide variety of books on local Bandon history, Oregon lighthouses, marine history, and other topics. 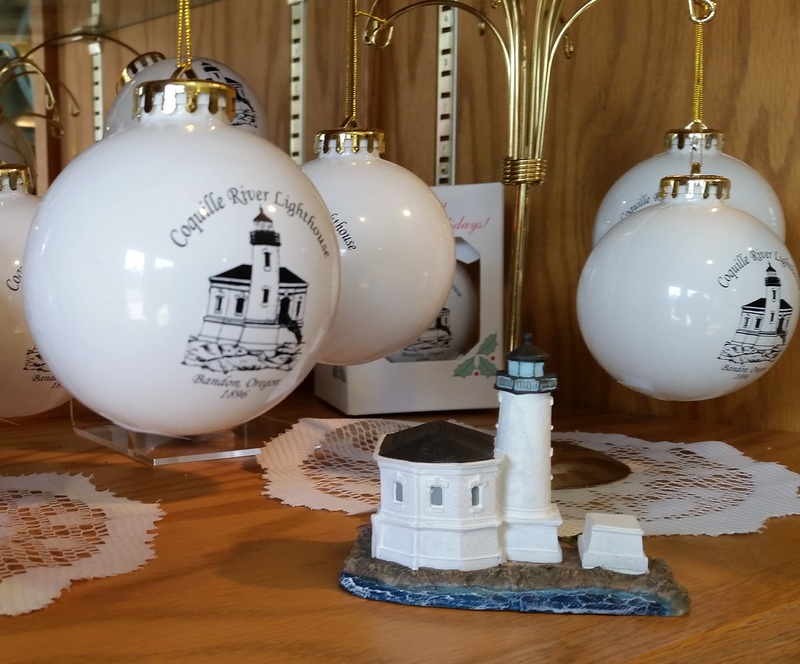 We also have videos, glassware, Christmas ornaments, art work and much more. 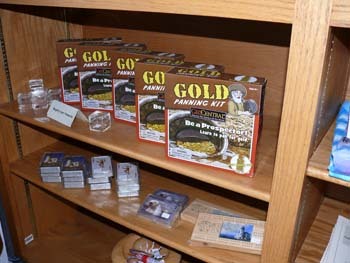 Gift shop sales are one way we defray expenses for the museum. Please stop by and browse the items we have available. 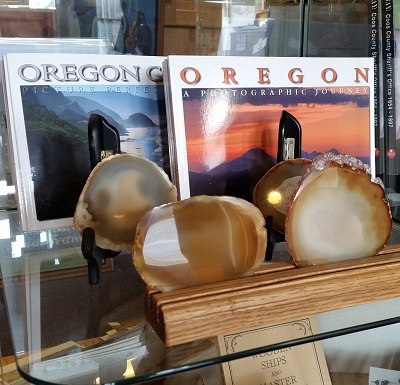 There is no admission charge to the Gift Shop. Seen below are just a few examples of the types of items we have. Online purchase and shipping of some items is now available below. Add your selected items to the Cart with the Add To Cart button and then View Cart to checkout. Payments may be made either with your credit card or your PayPal account. You do not need a PayPal account to make a purchase. Museum Members can receive 10% off the Regular Price by selecting the Museum Member Price. All of our online prices include shipping and handling for all U.S. states. For international orders please call the museum. For Customer Service, Return Policy information, questions, or problems with your purchase go to the bottom of the page. 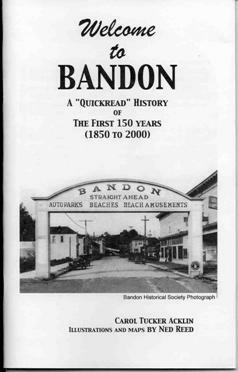 Welcome to Bandon: A QuickRead History of The First 150 Years (1850 - 2000) by Carol Acklin with Ned Reed illustrations, this gem answers all your questions about Bandon history. 49 pages, paperback. 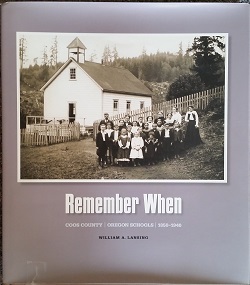 Remember When - Coos County, Oregon Schools 1850-1940 by William A. Lansing tells the story of the early pioneers creating 91 separate school districts in Coos County to educate their children. Numerous interviews of attendees and teachers are included. 199 pages, hardback. 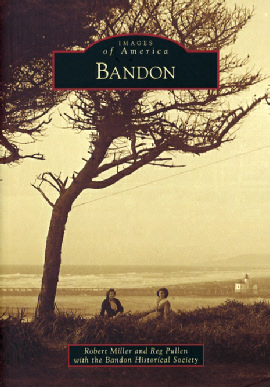 Bandon By-The-Sea (Hope and Perserverance in a Southwestern Oregon Town) by Dow Beckham. 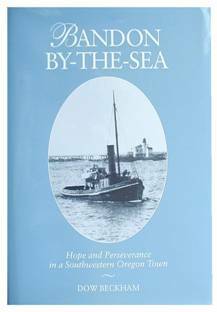 One of the best books about Bandon, covering the entire history of the town including the 1936 fire. 232 pages, paperback and hardback available. 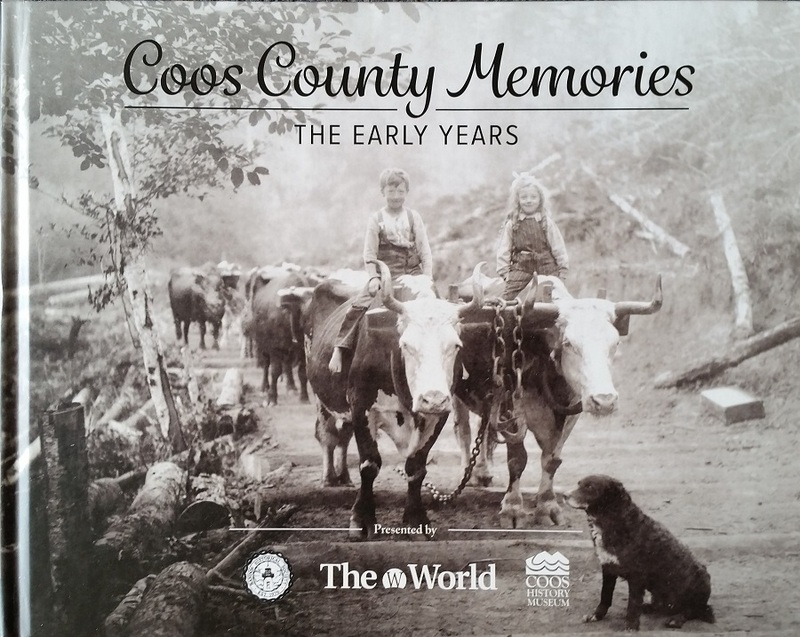 Coos County Memories: The Early Years by The World. 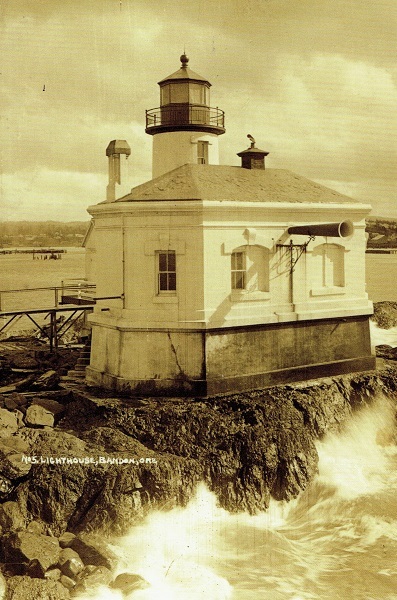 This heirloom-quality coffee-table book offers a glimpse of Coos County from the early years to 1939 through stunning and historic photos. 136 pages, hardback. 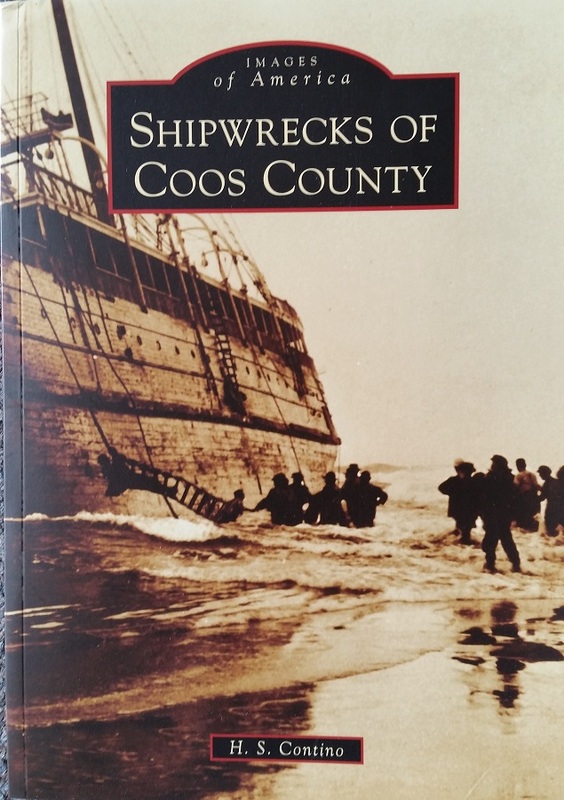 Shipwrecks of Coos County (Images of America) by H. S Contino. 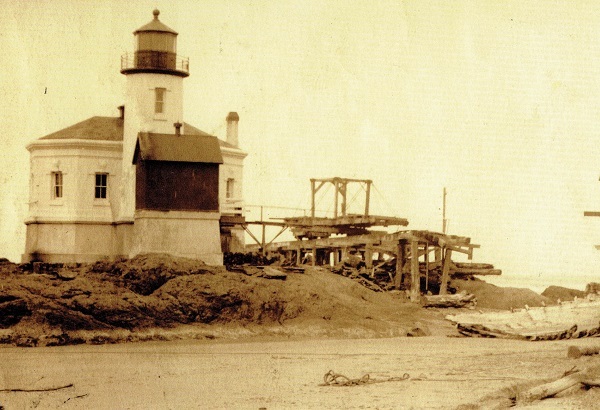 European settlement of Coos County began with a shipwreck in January 1852. 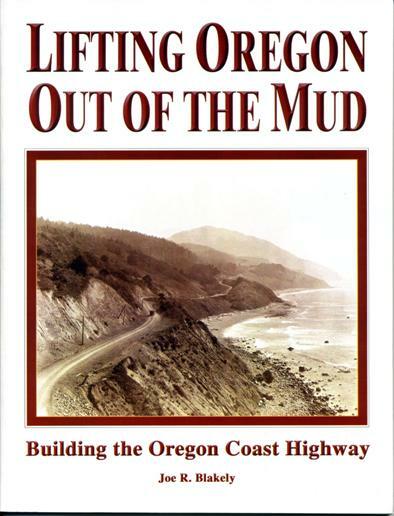 The crewmen eventually traveled overland to Port Orford, where they told other settlers about the Coos Bay and its many natural resources. 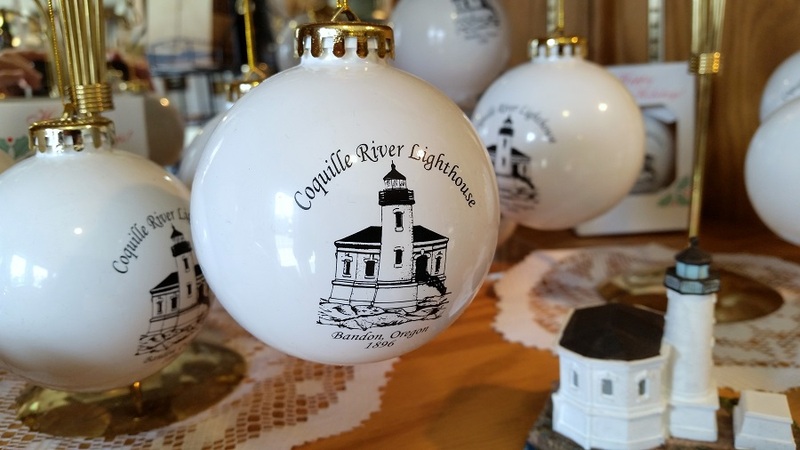 By December 1853, Coos County was established by the territorial legislature, and several towns were founded; the history of the area had been completely altered by a single shipwreck. 127 pages, paperback. Bandon (Images of America) by Robin Miller and Reg Pullen is a gem. 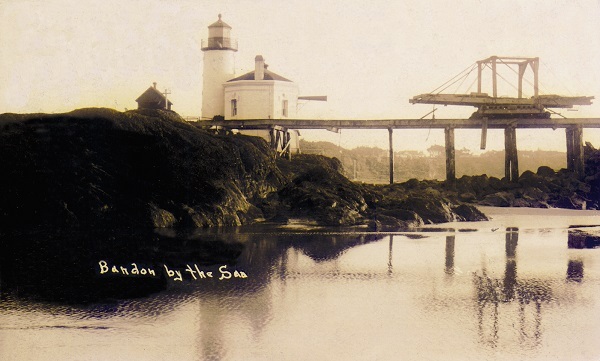 Many photos from the Bandon Historical Society files are included. 127 pages, paperback. 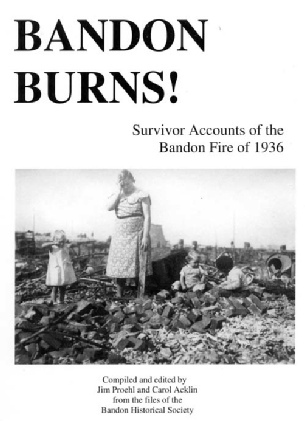 Bandon Burns, Survivor Accounts of the Bandon Fire of 1936 published by the Bandon Historical Society, this book contains first hand accounts of survivors of the 1936 fire. 57 pages, paper booklet. 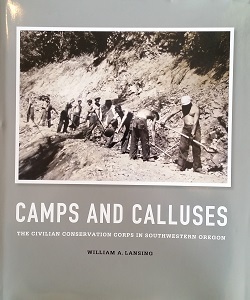 Camps and Calluses the Civilian Conservation Corps in Southwestern Oregon by William A. Lansing tells about the Civilian Conservation Corps camps and their impact on southwestern Oregon in the 1930s. 224 pages, hardback. 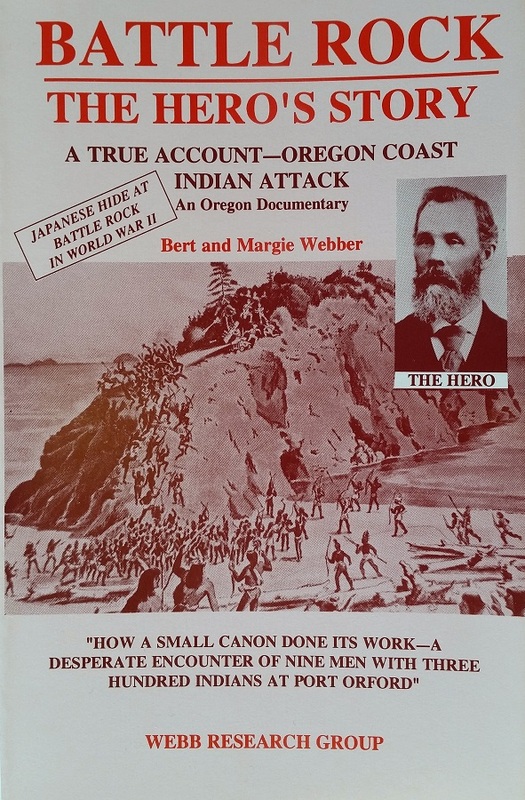 Battle Rock: The Hero's Story, A True Account-Oregon Coast Indian Attack by Bert and Margie Webber. The amazing account of a young man who finds himself the leader of a handful of men attacked by 300 Indians. 75 pages, paperback. 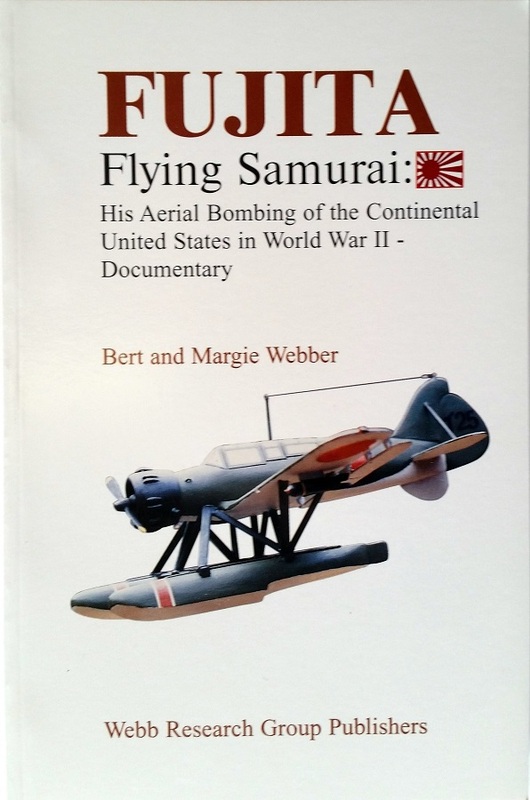 Fujita: Flying Samurai by Bert and Margie Webber. Imperial Japanese Navy pilot Fujita was the only enemy pilot to bomb the continental US in a manned aircraft in WWII. Here is how he did it. 134 pages, paperback. 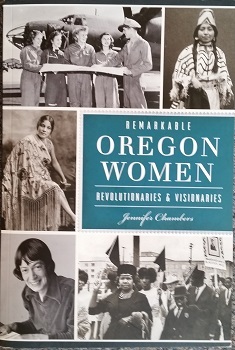 Remarkable Oregon Women: Revolutionaries & Visionaries by Jennifer Chambers. Without the efforts of inspiring, brave women of the past, the progressive and individualistic Oregon we know today might not exist. 128 pages, paperback. 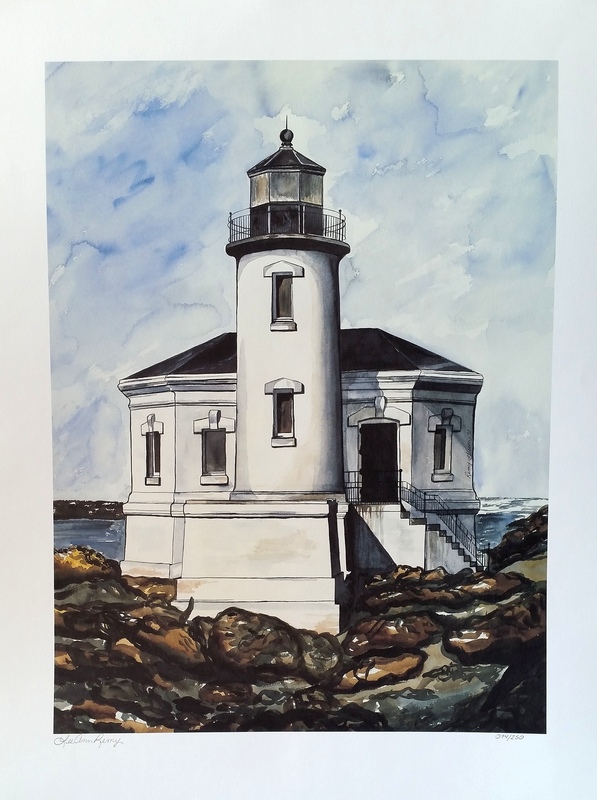 Coquille River Lighthouse water color print by artist Lee Ann Remy. This is a numbered and signed print that has a paper size of 20 x 26 inches with an image size of 15.75 x 21 inches. It would make a beautiful addition to any wall. Click on the image for a larger view. The image will open in a new window. 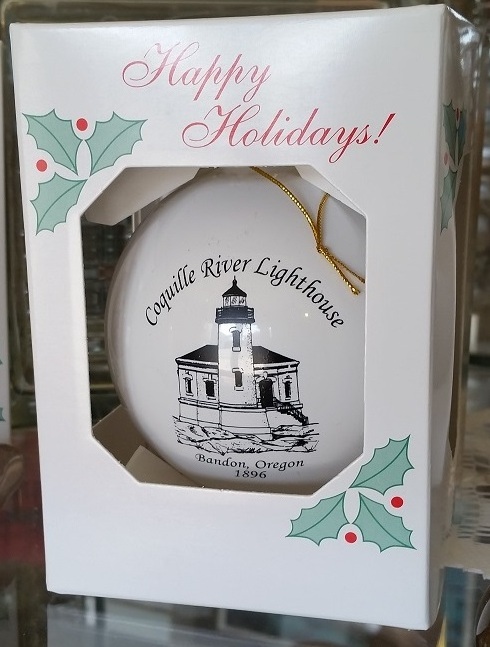 Coquille River Lighthouse Christmas Ornament A wonderful item for a gift or just for your own tree. The globe is plastic rather than glass and looks lovely. Click on the image for a closer view of the ornament. The image will open in a new window. 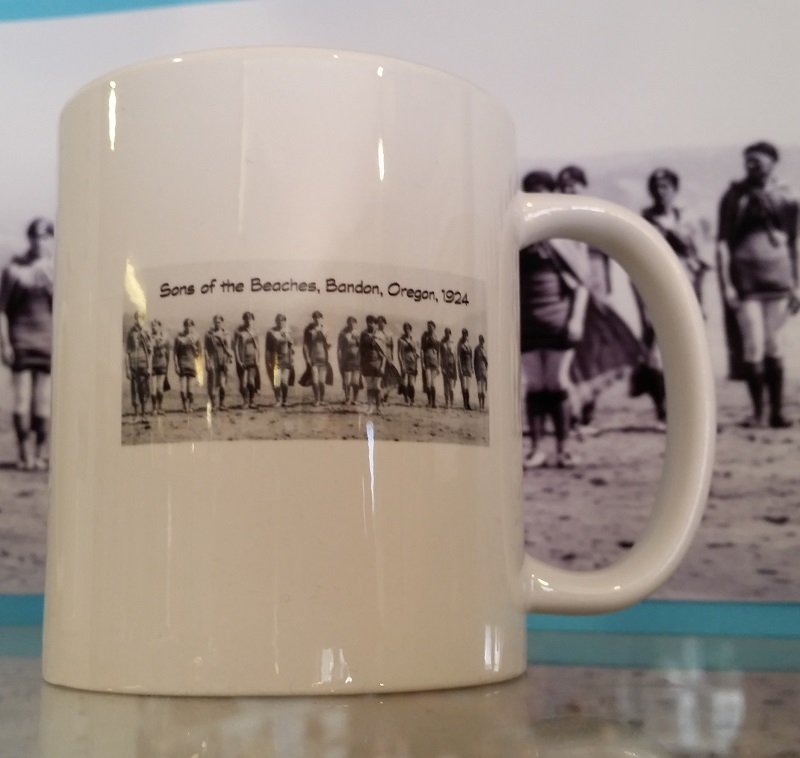 This mug displays the 1924 photo of the Bandon Sons of the Beaches. A must have for any fan of Bandon! Click the image for a closer view that will open in a new window. 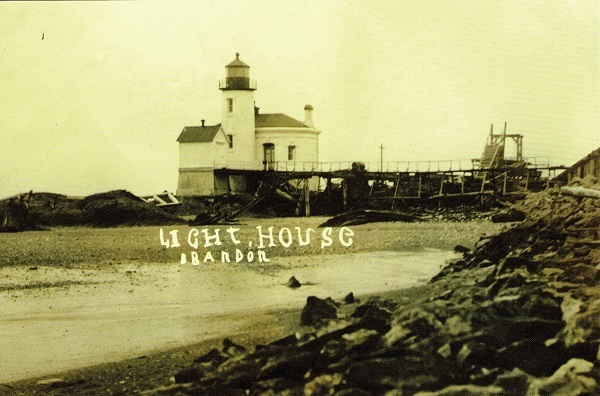 Set of 4 Post Cards with historic images of the Coquille River Lighthouse The images used for these post cards were originally from period post cards. Scanned by museum volunteers, they have come full circle and are post cards again! Click on the image for a closer view of the card. The image will open in a new window. 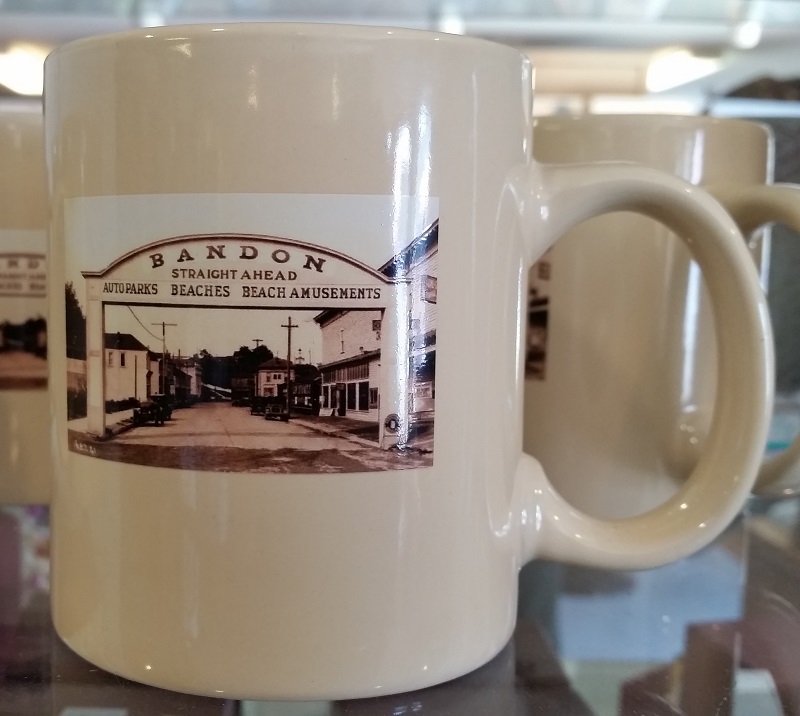 This mug displays the archway that greeted visitors to 2nd Street downtown Bandon in the days of Model T's. Click the image for a closer view that will open in a new window. 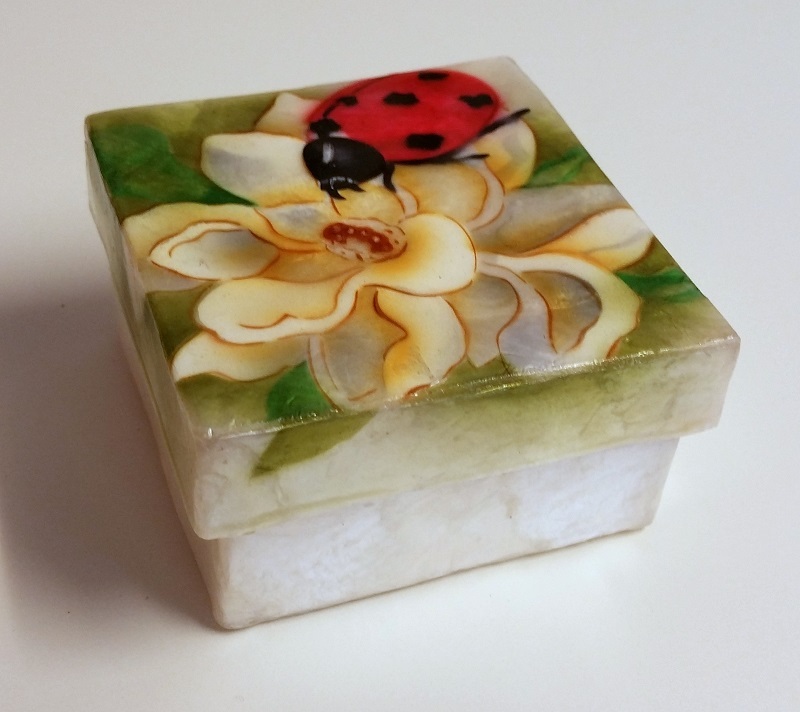 "Ladybug" Capiz Shell Box These boxes are made from the shell of the Windowpane Oyster, farm-raised in the Philippines. Lovely hand airbrushed images decorate the lids. 2.75 x 2.75 x 1.5 inches. For a closer view click the image which will open in a new window. 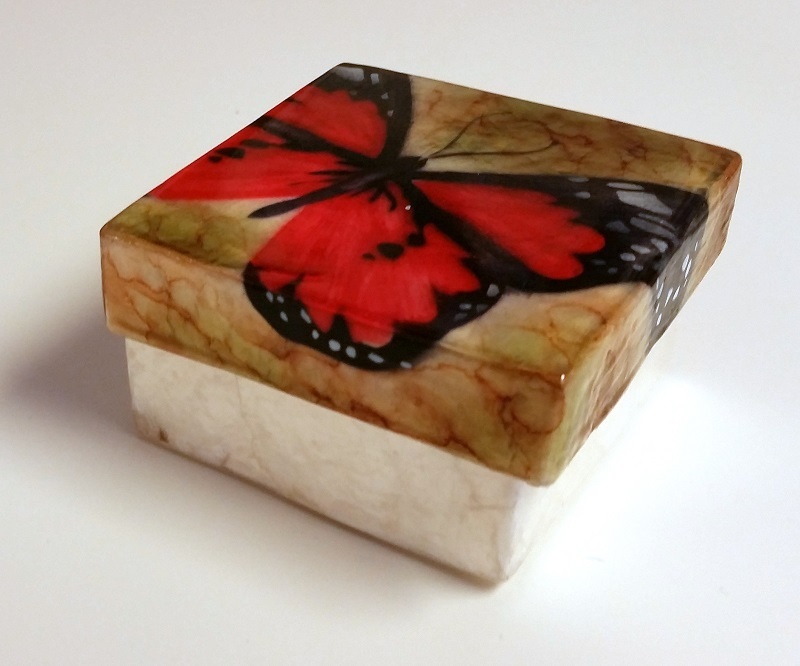 "Red Butterfly" Capiz Shell Box These boxes are made from the shell of the Windowpane Oyster, farm-raised in the Philippines. Lovely hand airbrushed images decorate the lids. 2.75 x 2.75 x 1.5 inches. For a closer view click the image which will open in a new window. 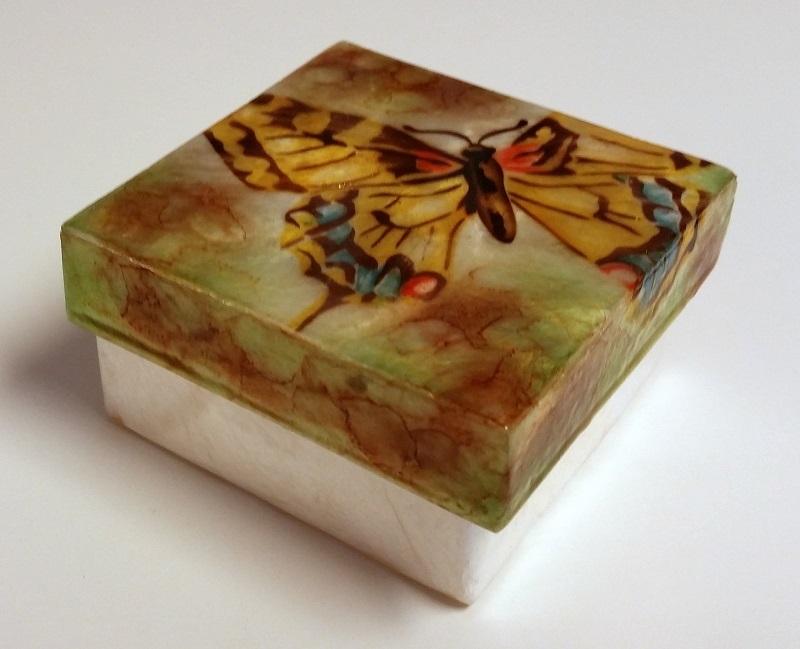 "Gold Butterfly" Capiz Shell Box These boxes are made from the shell of the Windowpane Oyster, farm-raised in the Philippines. Lovely hand airbrushed images decorate the lids. 2.75 x 2.75 x 1.5 inches. For a closer view click the image which will open in a new window. 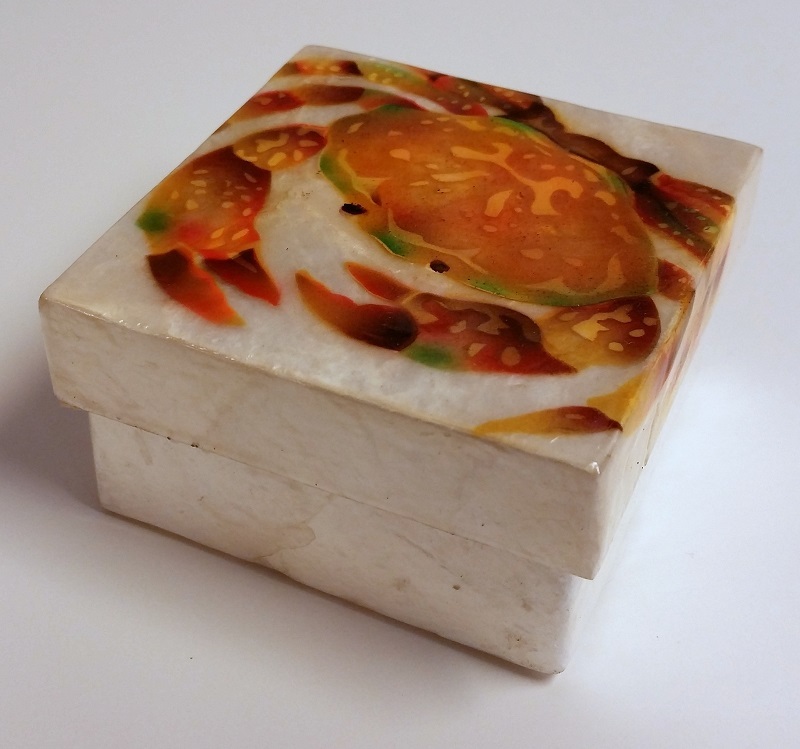 "Crab" Capiz Shell Box These boxes are made from the shell of the Windowpane Oyster, farm-raised in the Philippines. Lovely hand airbrushed images decorate the lids. 2.75 x 2.75 x 1.5 inches. For a closer view click the image which will open in a new window. 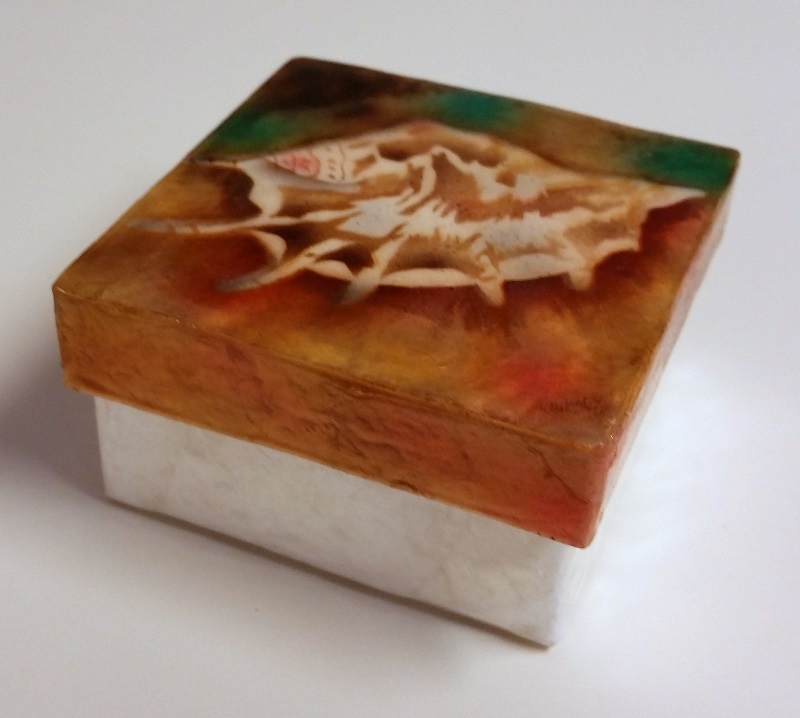 "Shell" Capiz Shell Box These boxes are made from the shell of the Windowpane Oyster, farm-raised in the Philippines. Lovely hand airbrushed images decorate the lids. 2.75 x 2.75 x 1.5 inches. For a closer view click the image which will open in a new window. 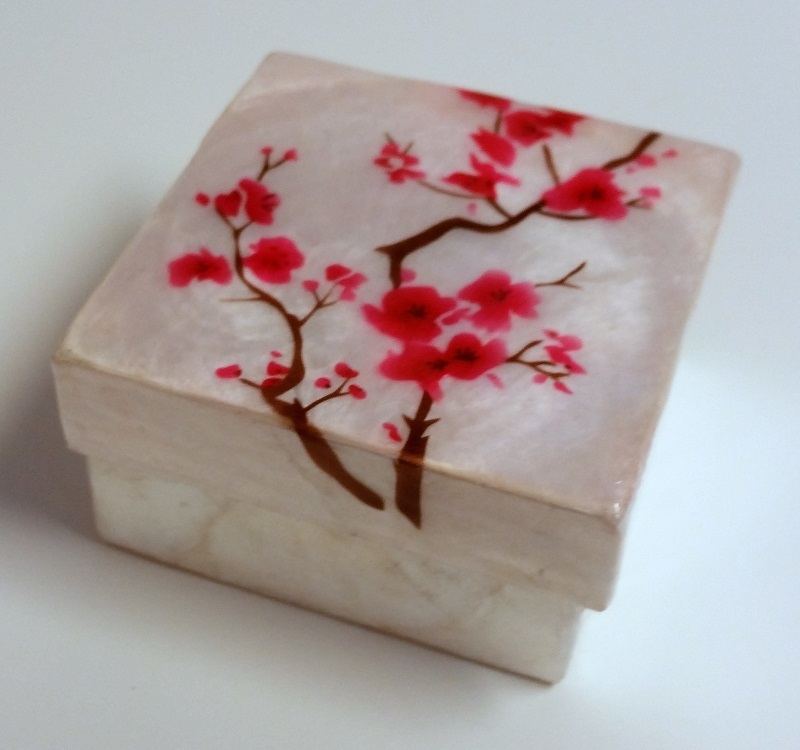 "Flowered" Capiz Shell Box These boxes are made from the shell of the Windowpane Oyster, farm-raised in the Philippines. Lovely hand airbrushed images decorate the lids. 2.75 x 2.75 x 1.5 inches. For a closer view click the image which will open in a new window. 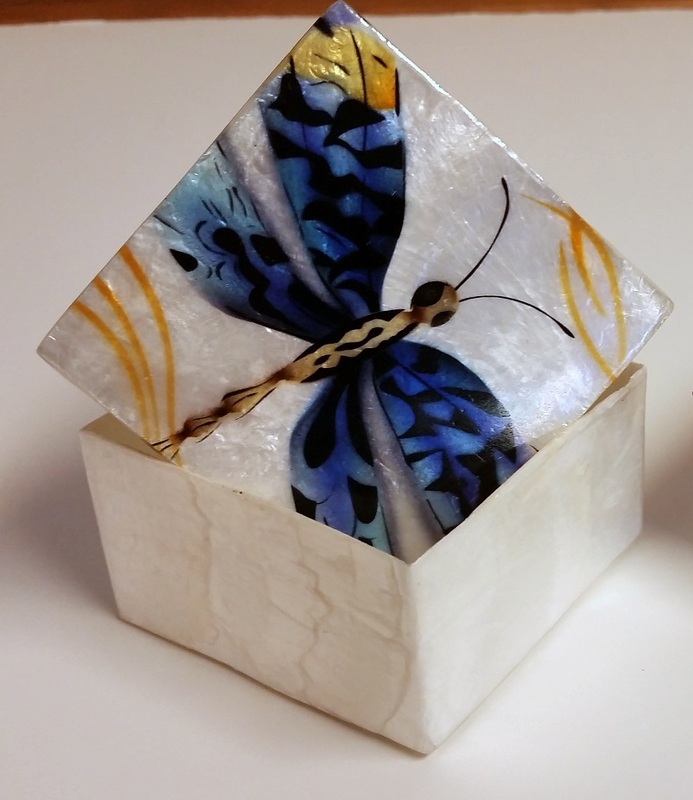 "Blue Dragonfly" Capiz Shell Box These boxes are made from the shell of the Windowpane Oyster, farm-raised in the Philippines. Lovely hand airbrushed images decorate the lids. 2.75 x 2.75 x 1.5 inches. For a closer view click the image which will open in a new window. Customer Service: 541-347-2164 Call us for any questions or problems. Thank You! Return Policy: We want you to be happy with your purchase. If you want to return it for any reason, please call the Customer Service number and we will work with you to return it. If its damaged, we will reimburse you for the return shipping (if we ask you to return it) and we will refund your purchase price. If you are unhappy with the item and just want to return it, we will refund your purchase price when we receive the item back.